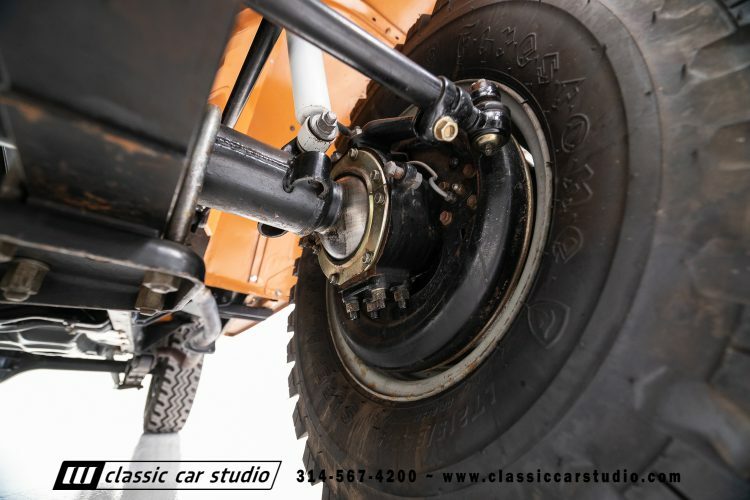 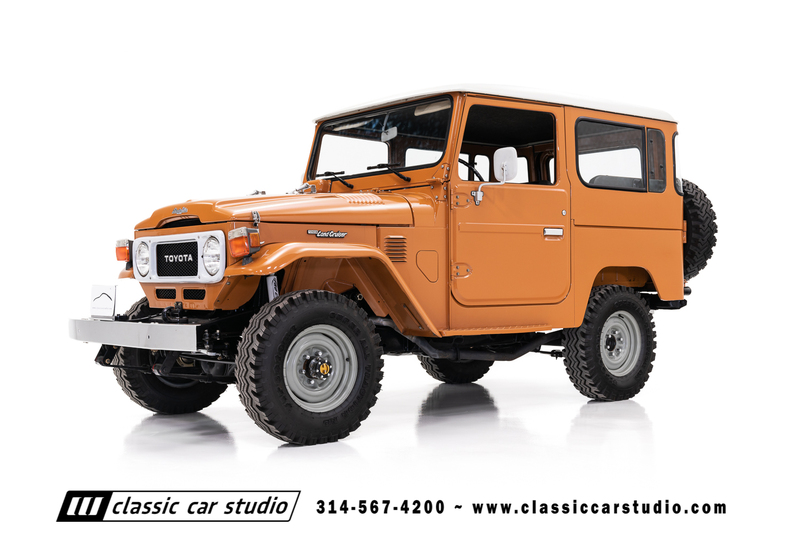 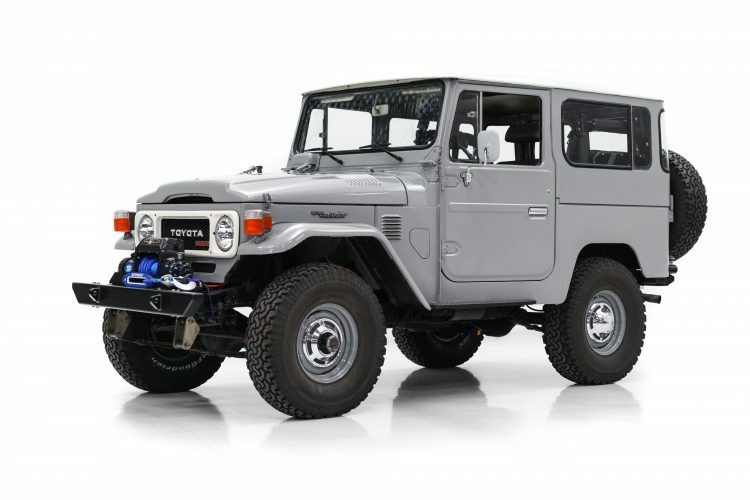 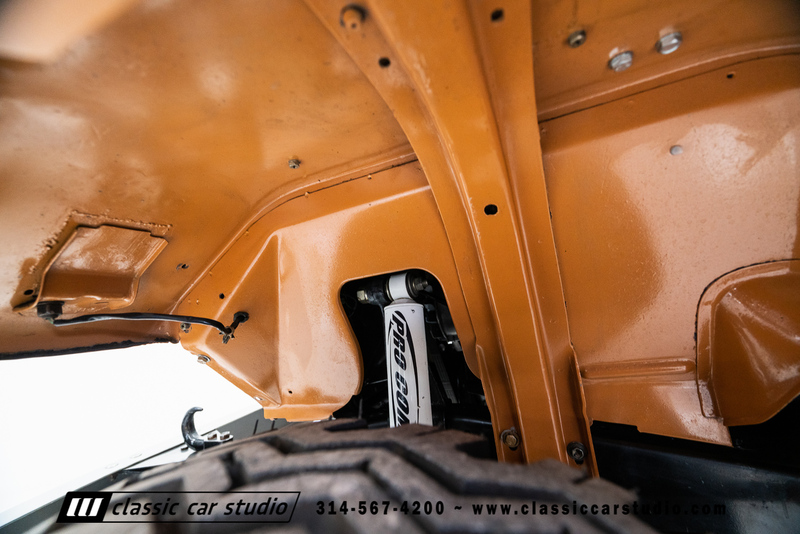 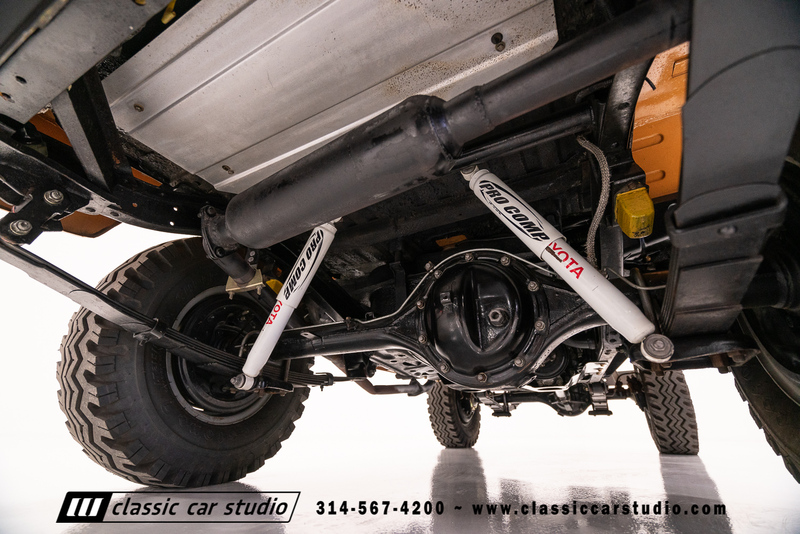 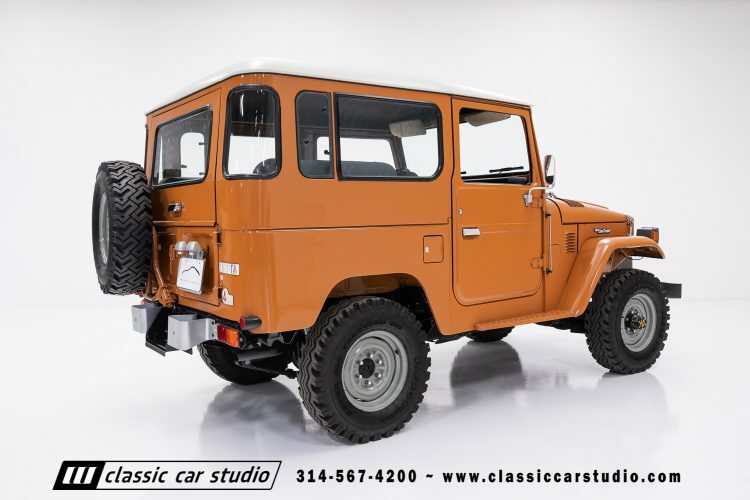 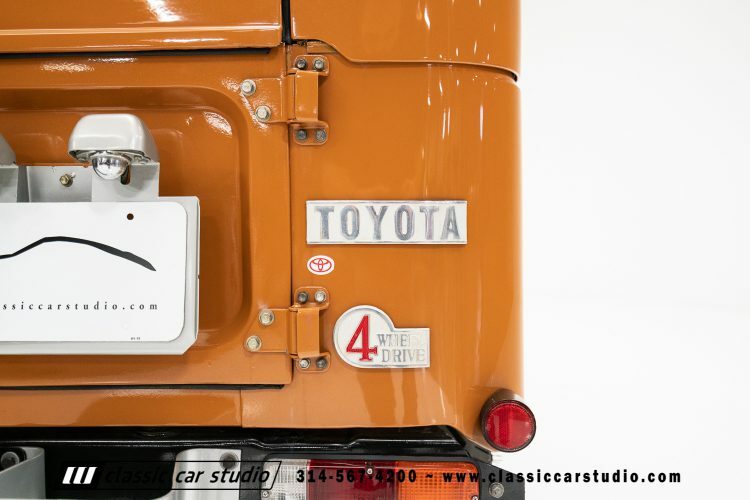 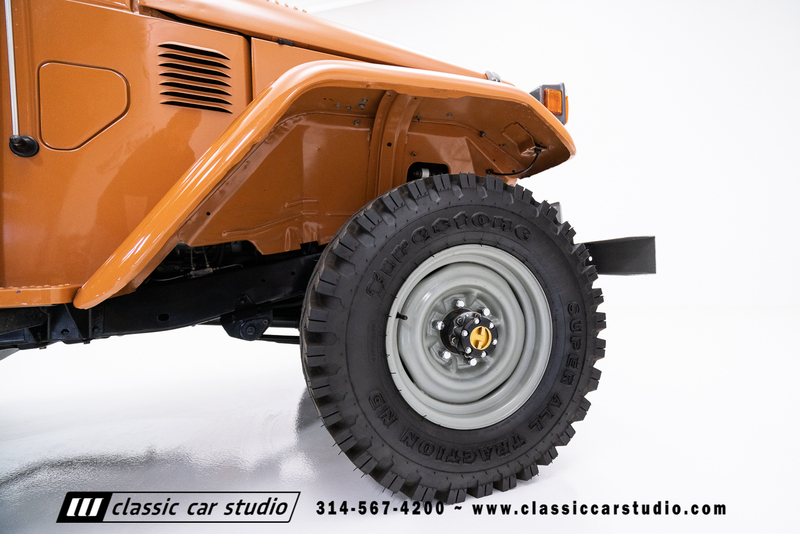 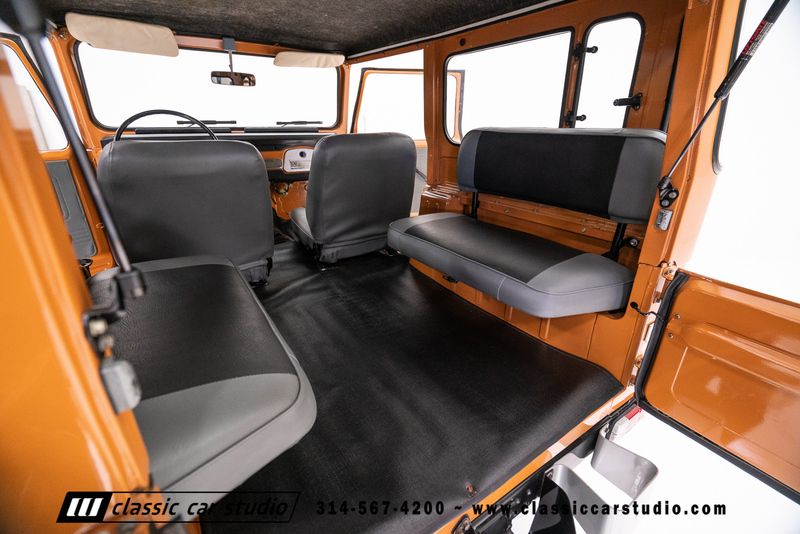 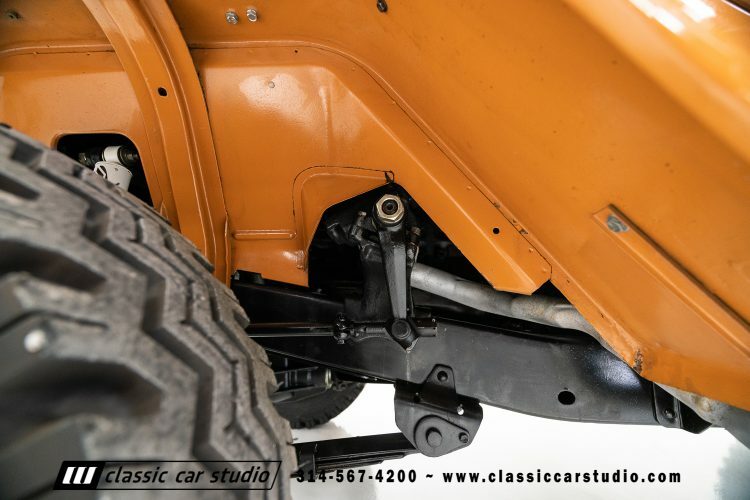 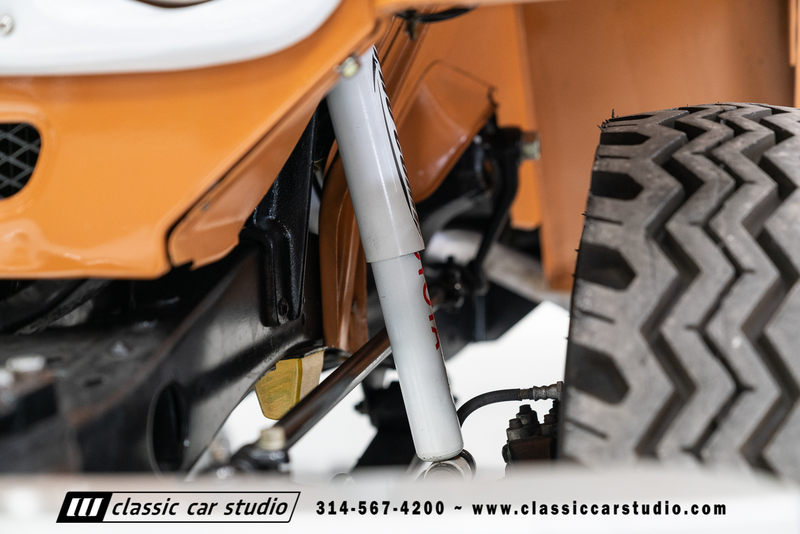 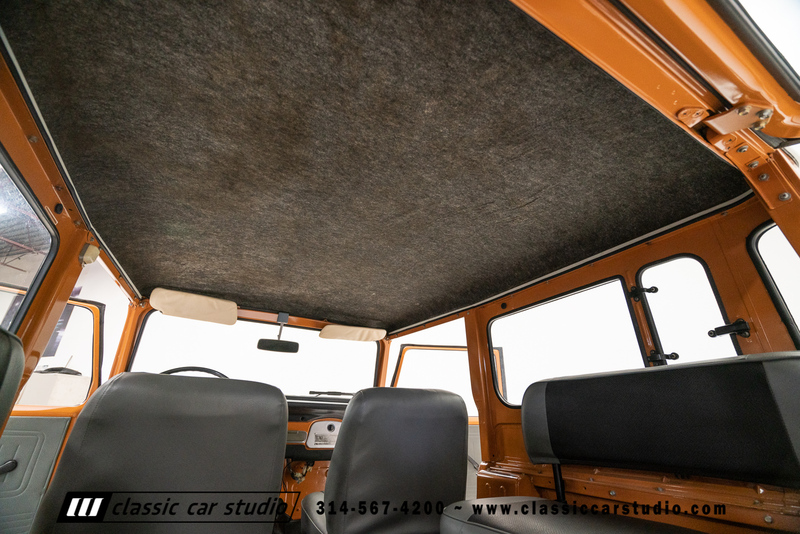 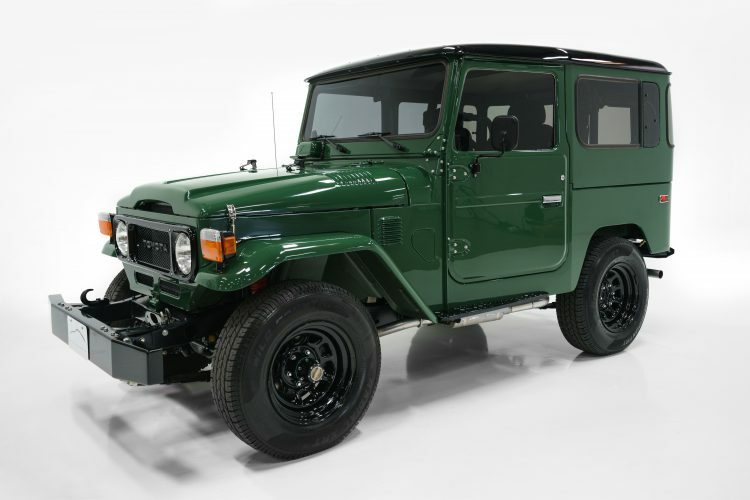 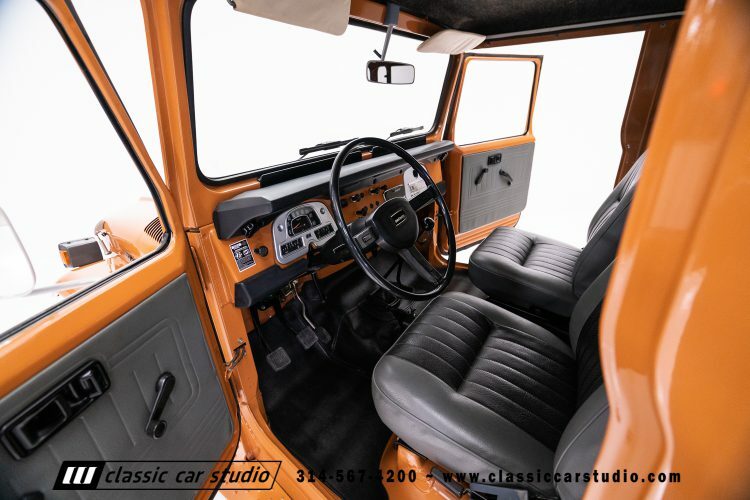 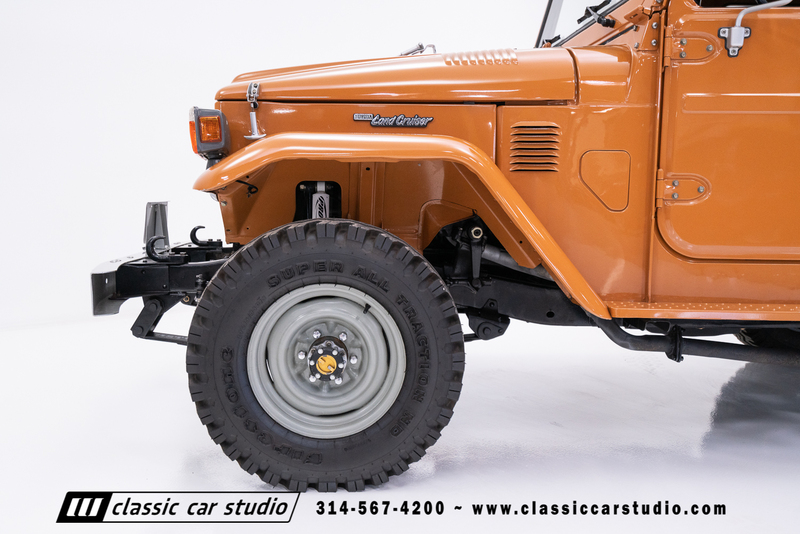 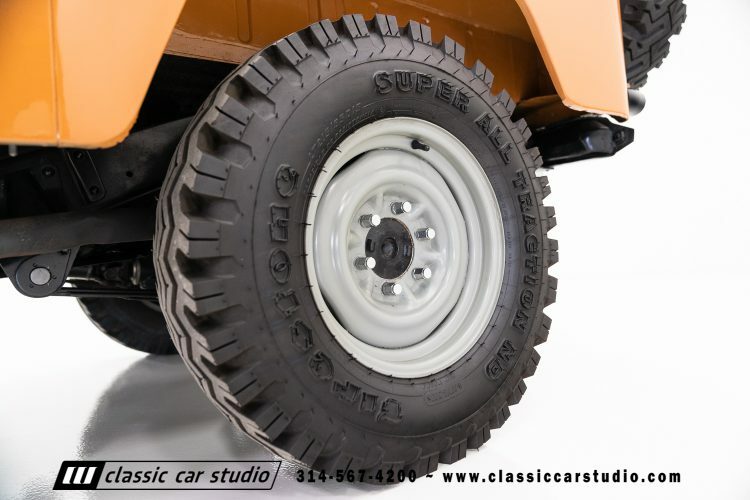 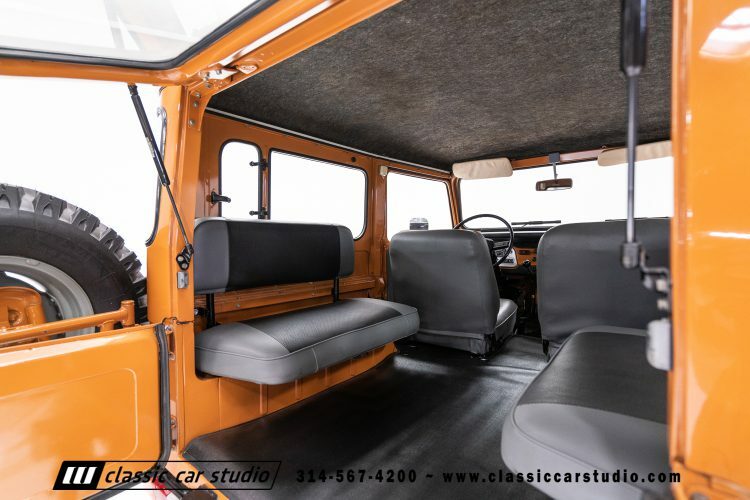 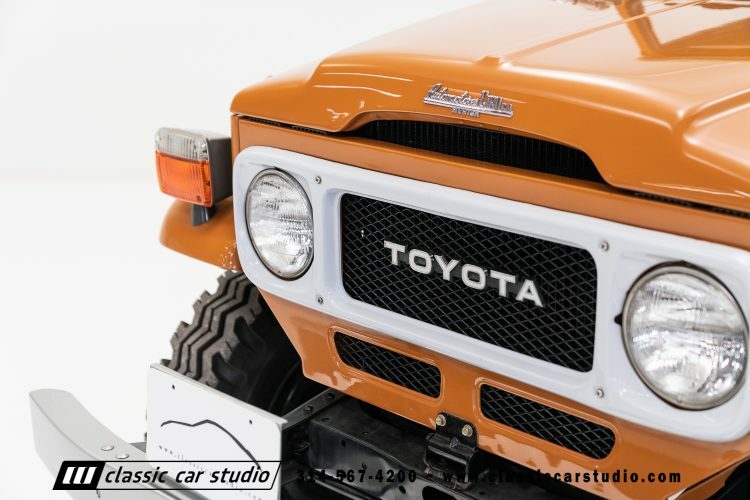 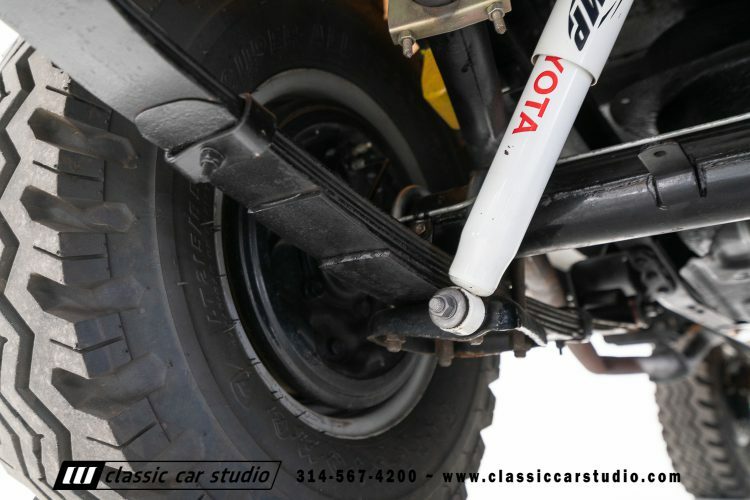 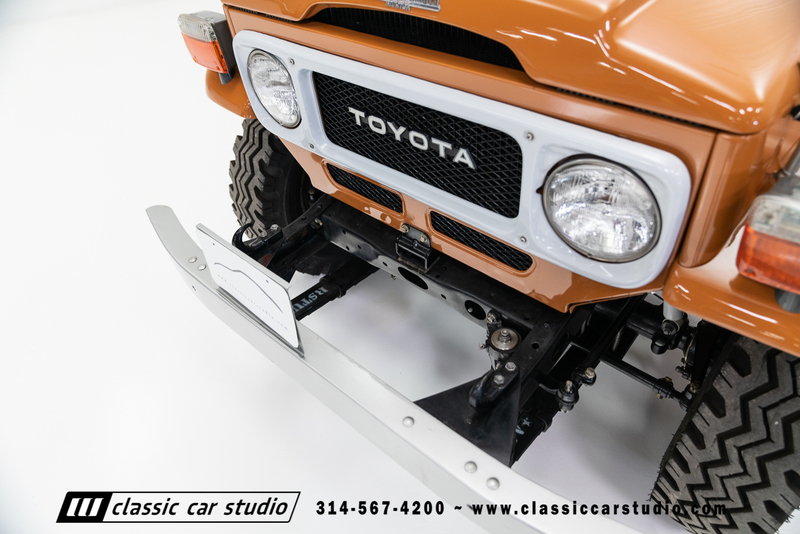 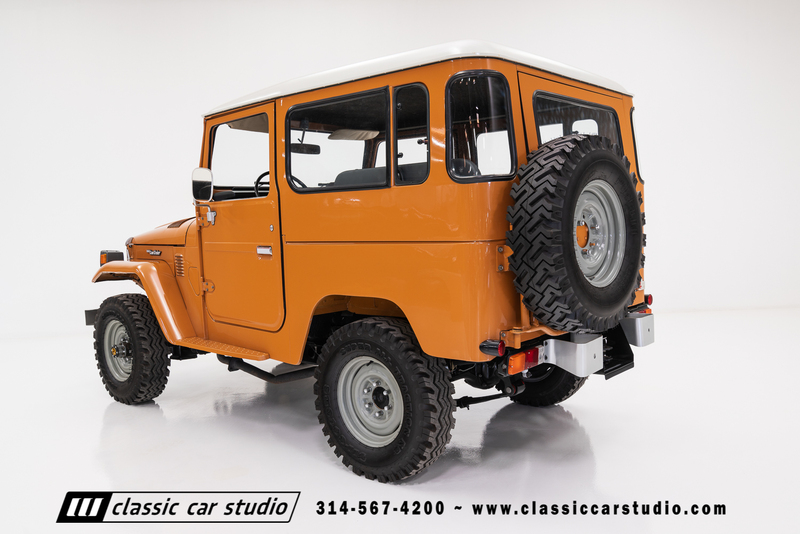 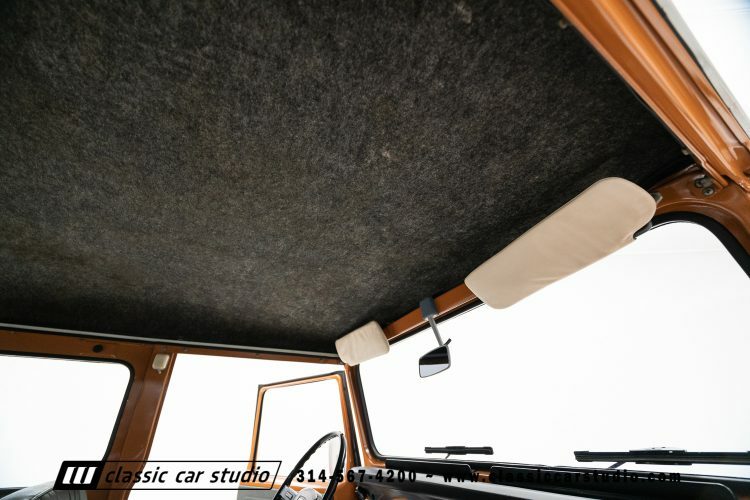 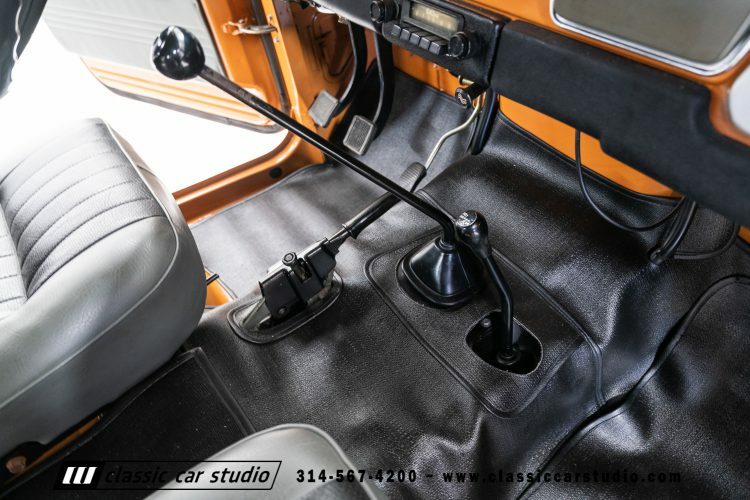 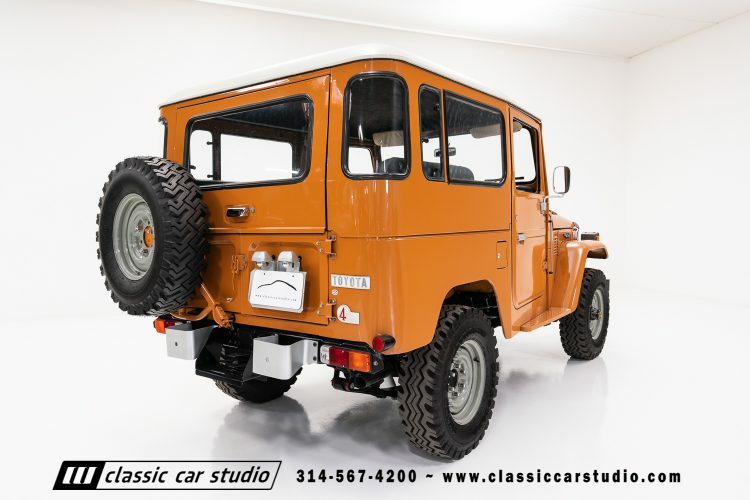 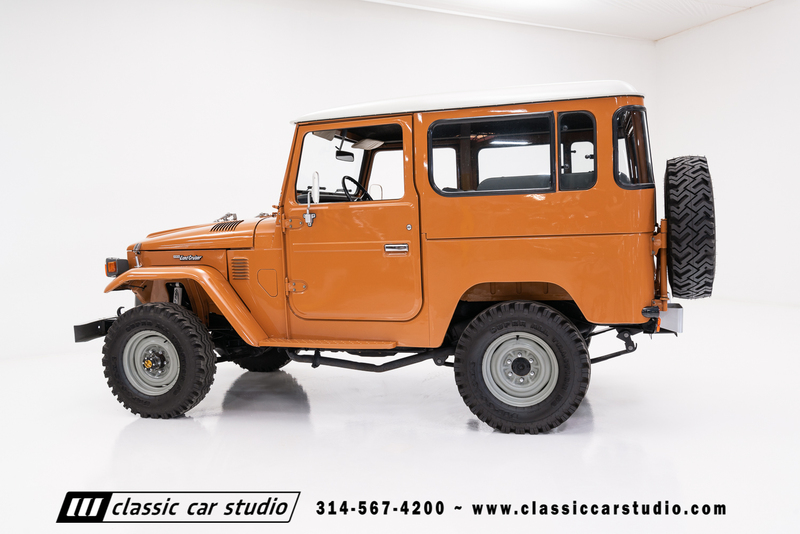 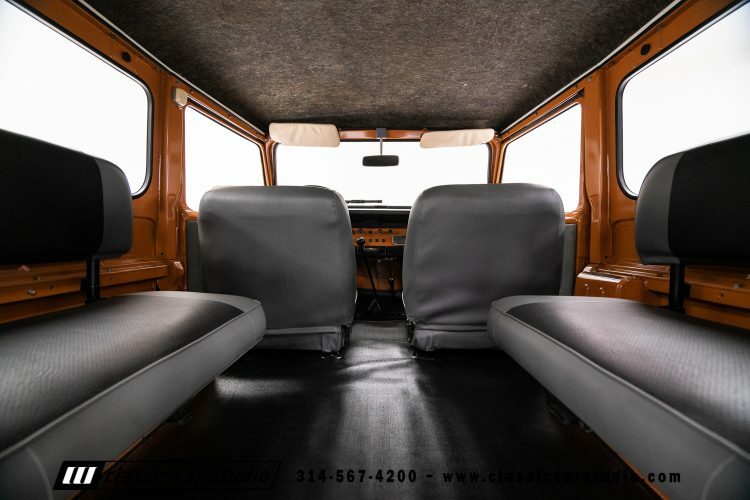 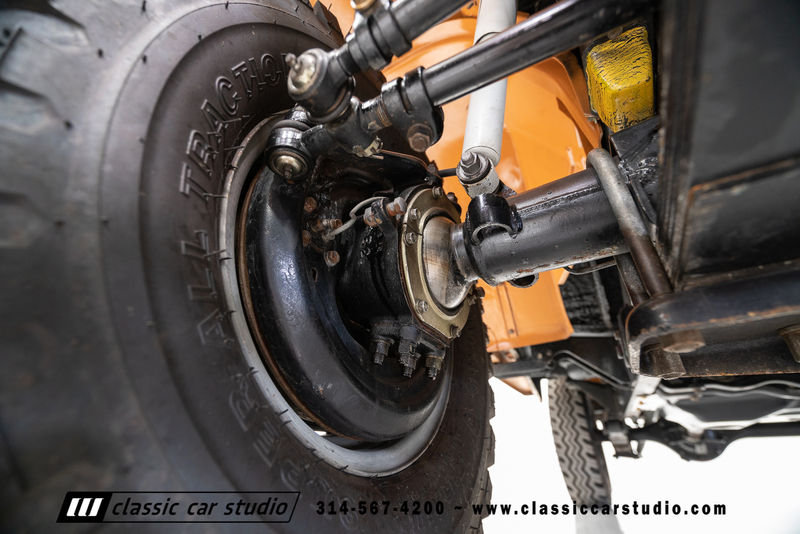 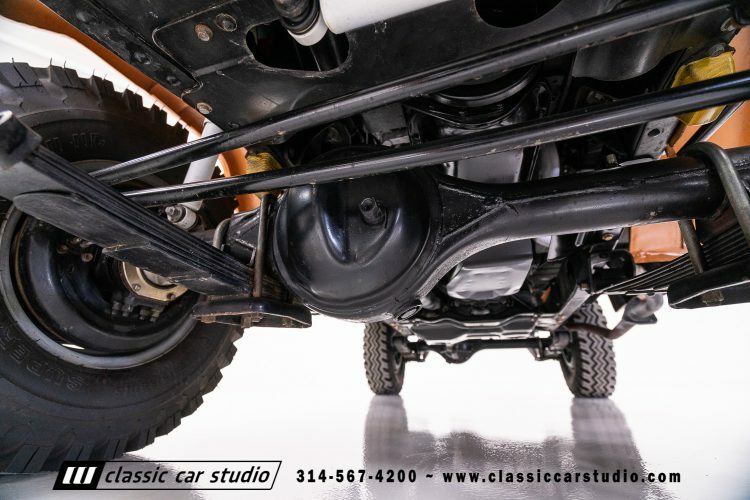 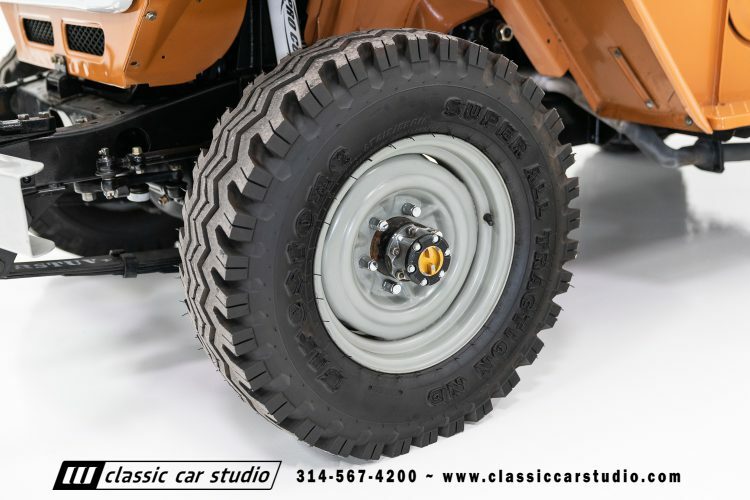 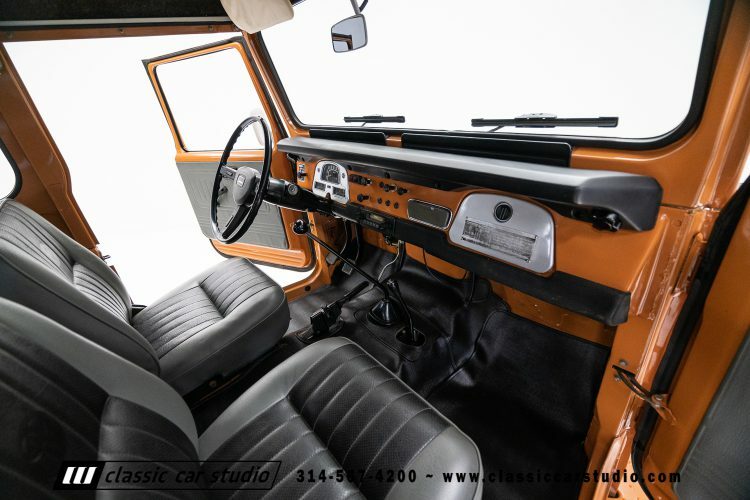 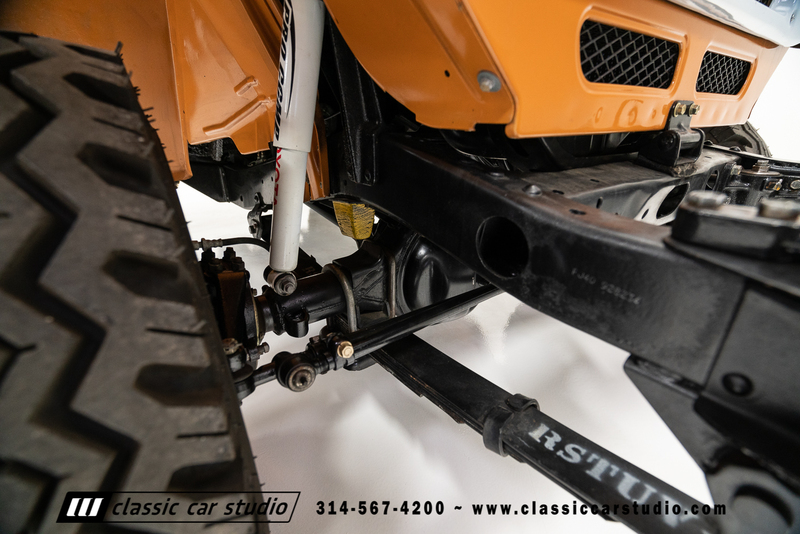 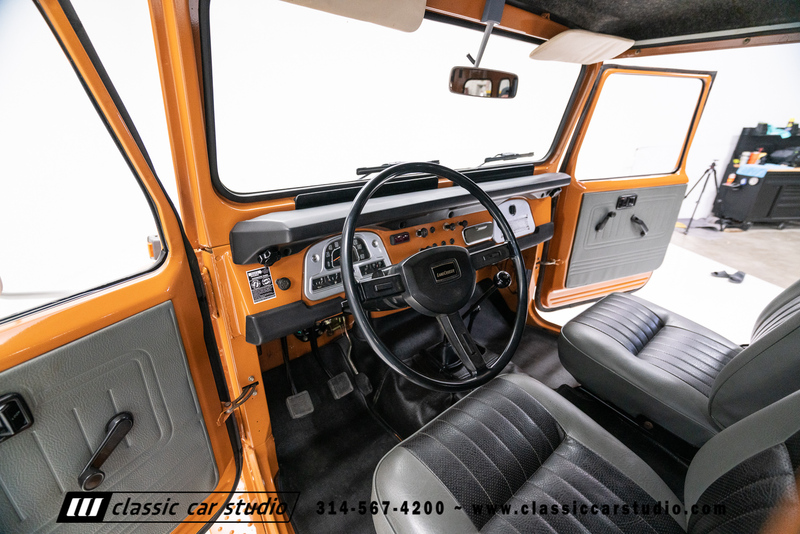 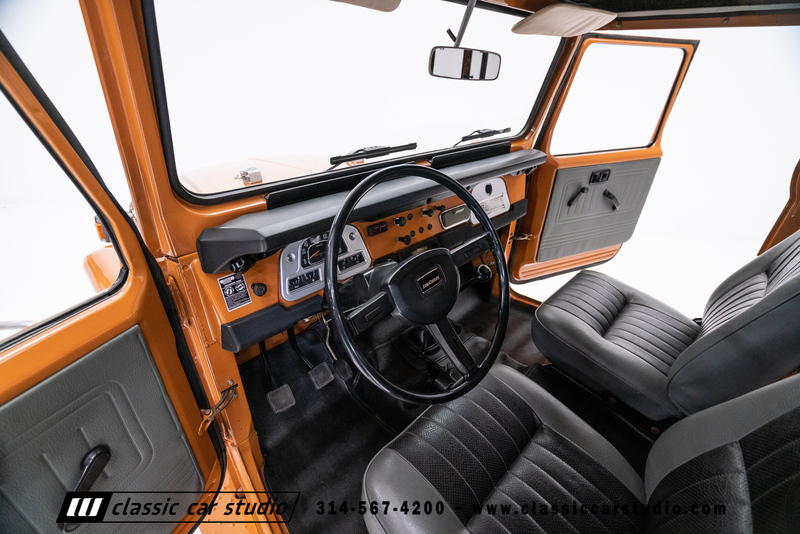 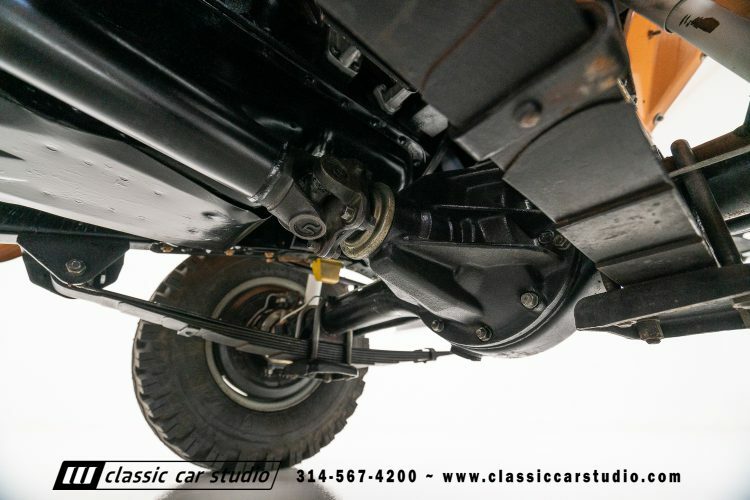 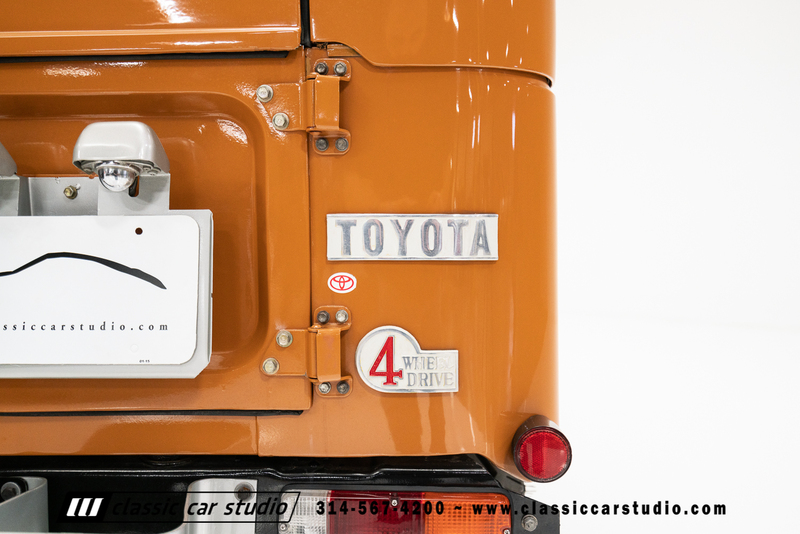 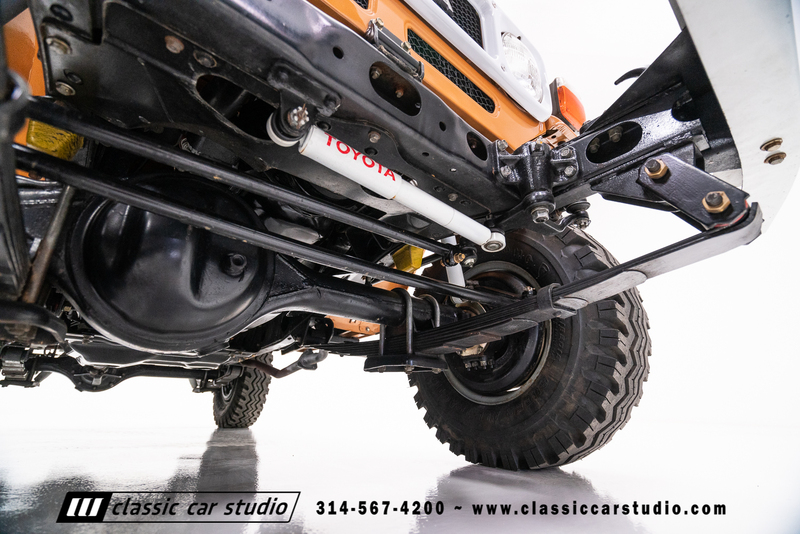 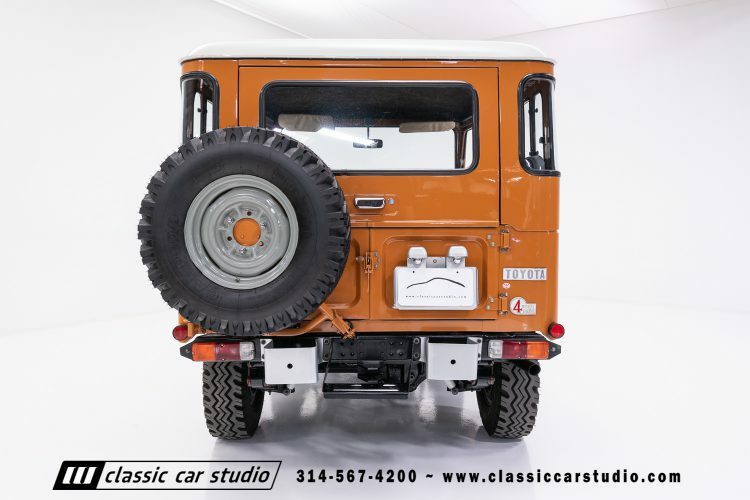 This FJ40 is the perfect truck for the enthusiast that wants to drive a seriously nice looking Land Cruiser. 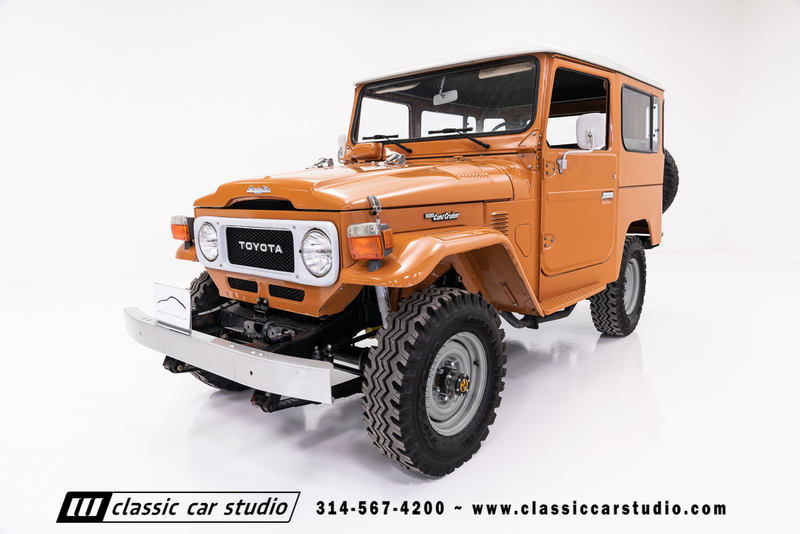 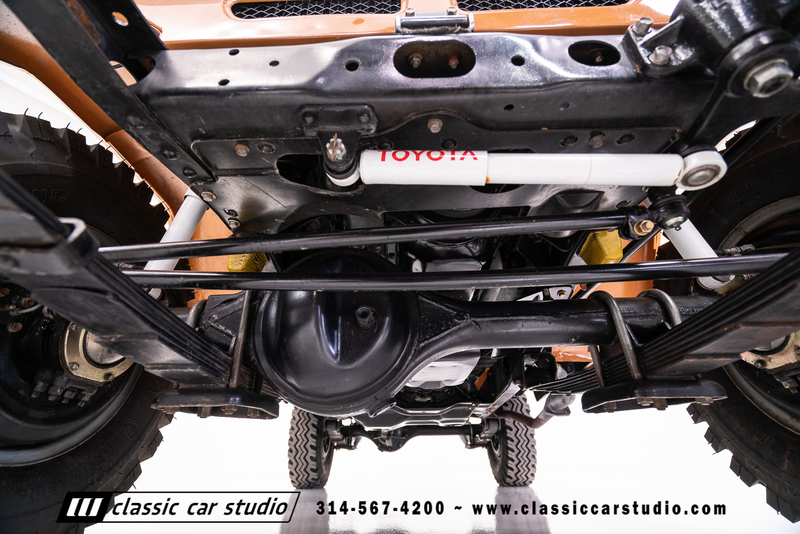 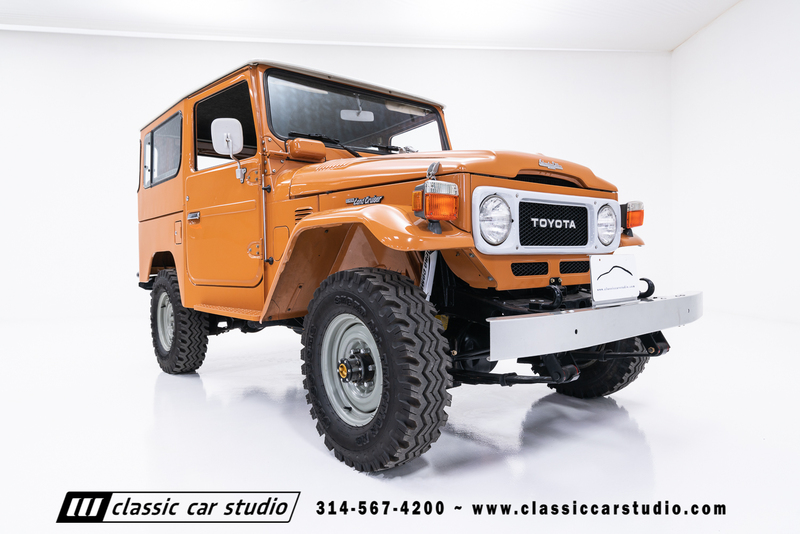 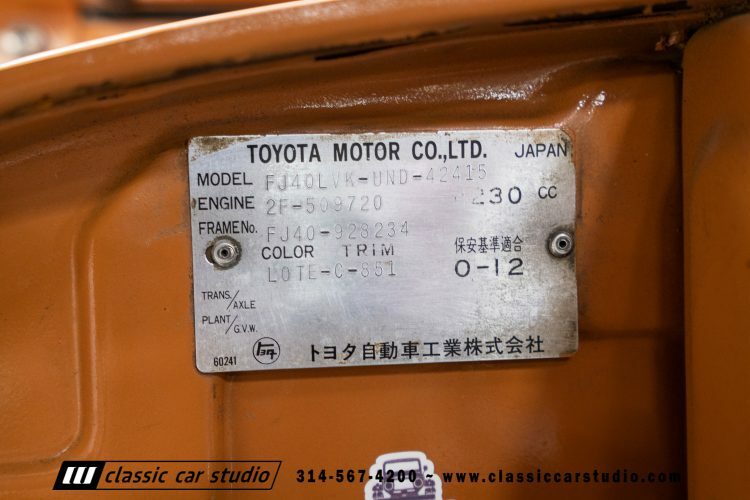 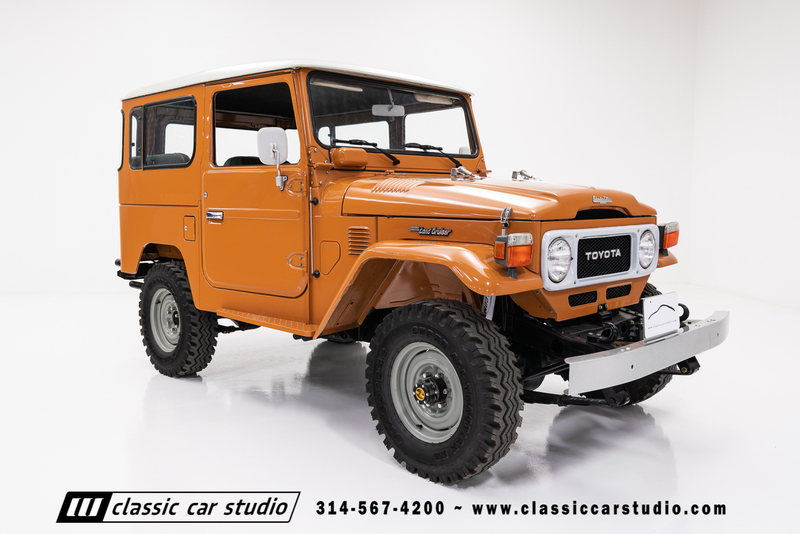 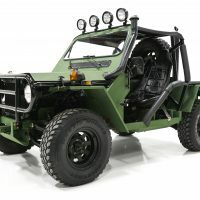 This 1981 Toyota Land Cruiser is the recipient of an extensive restoration resulting in a very nice showing and drivable classic 4×4. 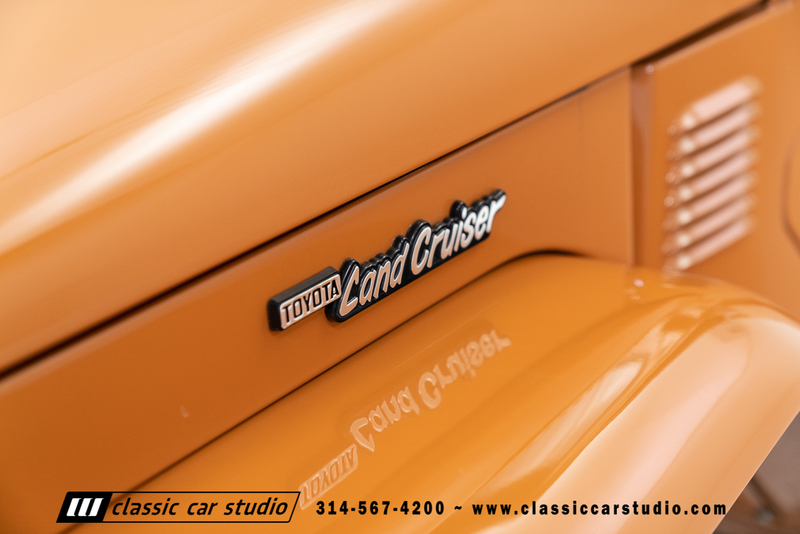 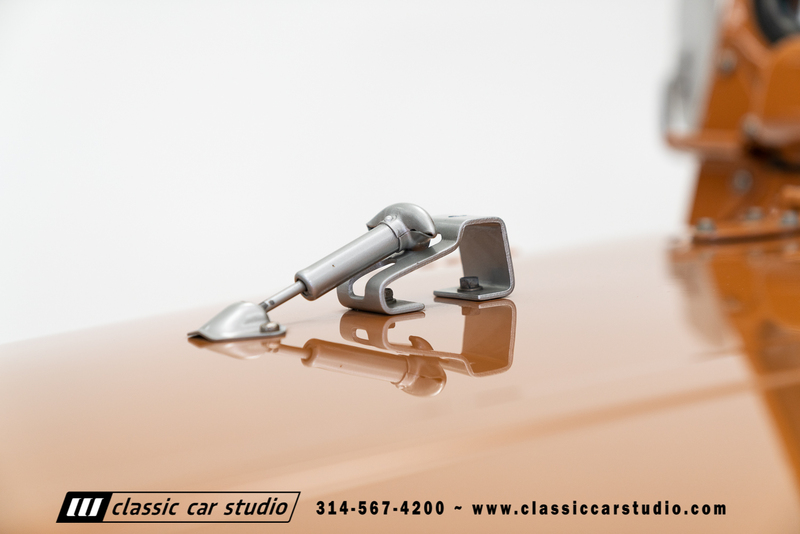 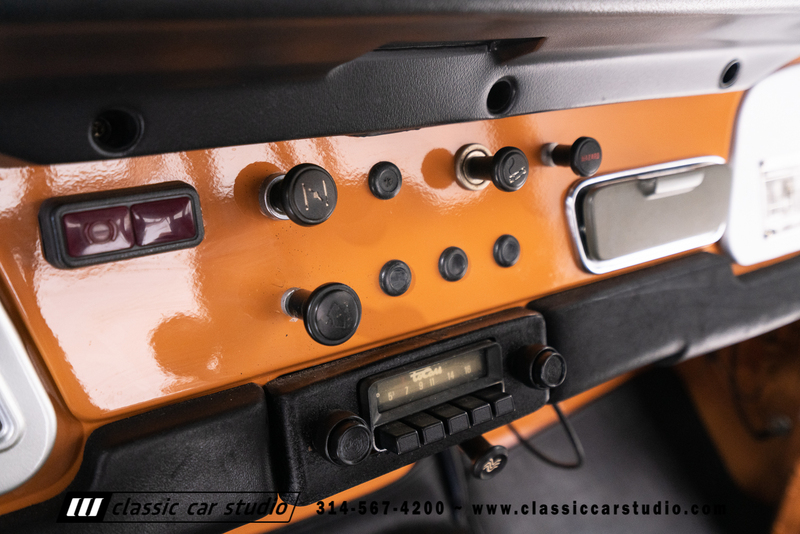 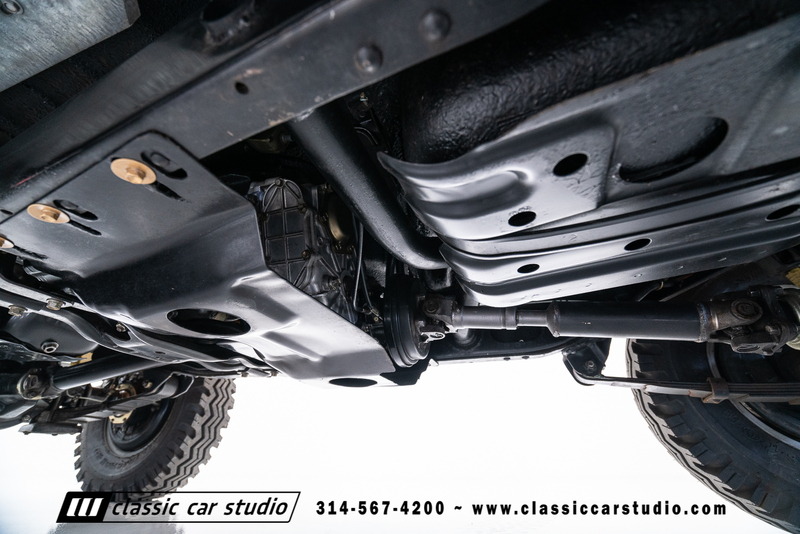 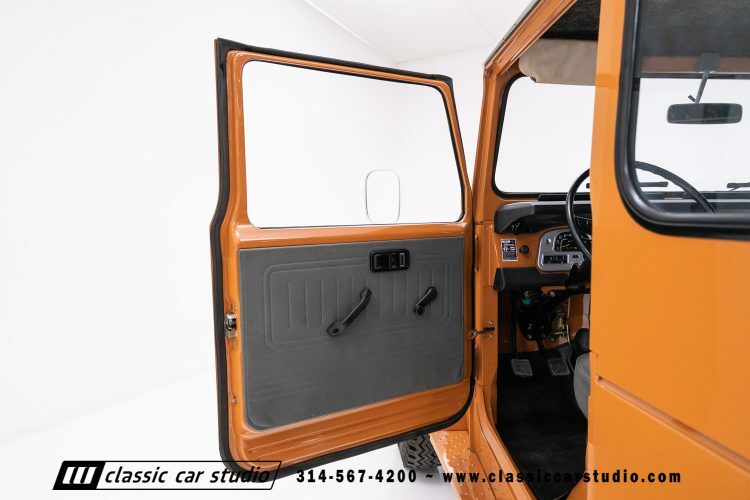 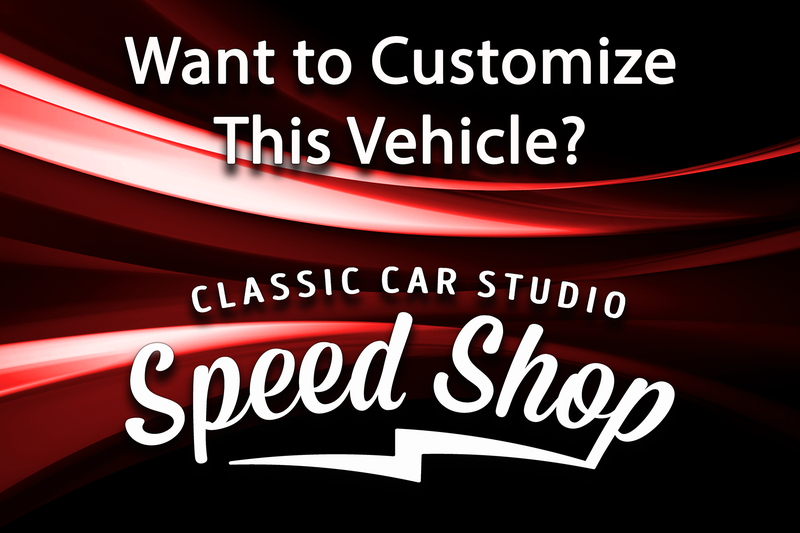 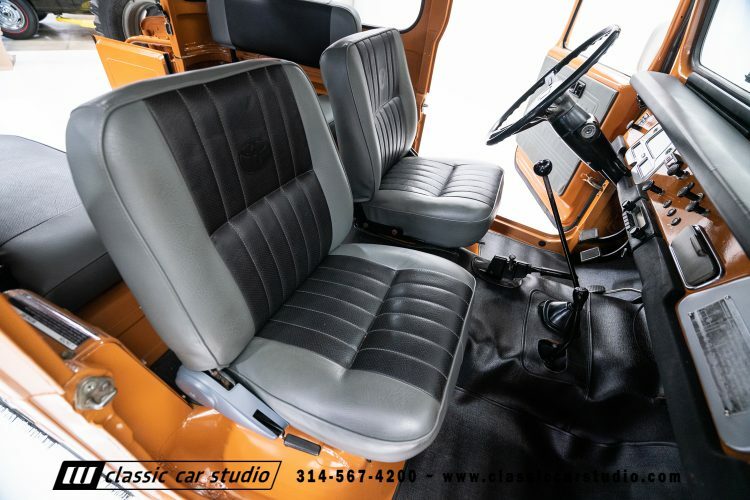 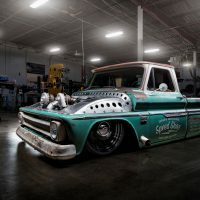 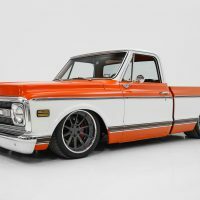 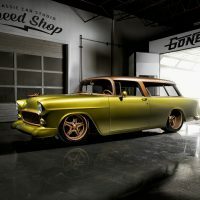 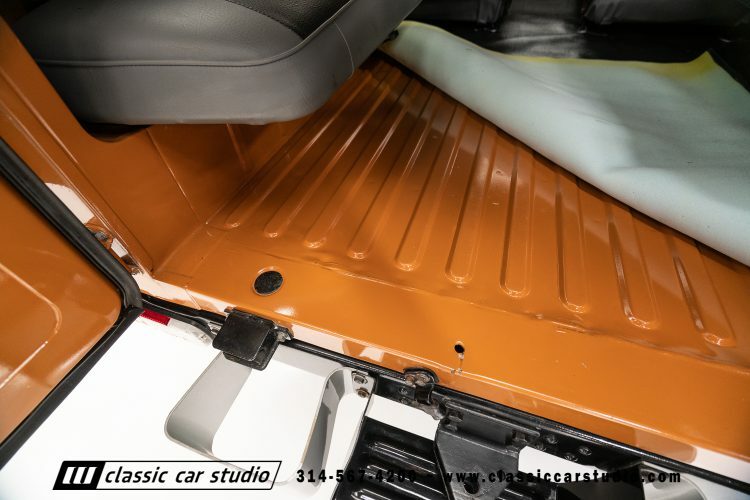 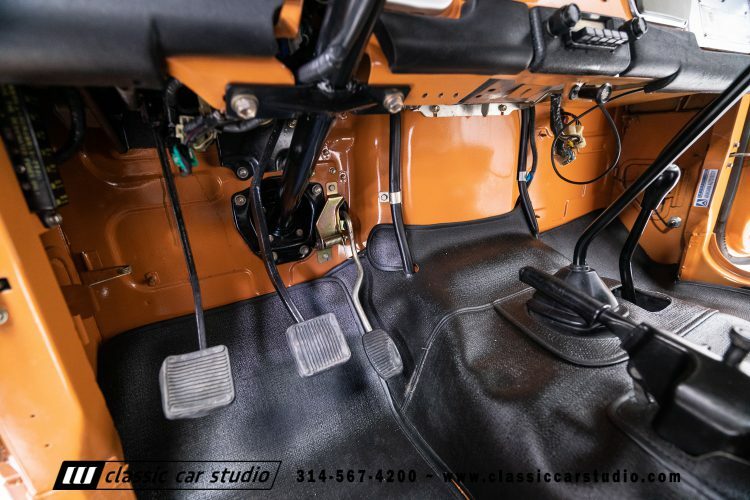 The body of the truck has been stripped inside and out and has been refinished in a gorgeous two-tone paint job. 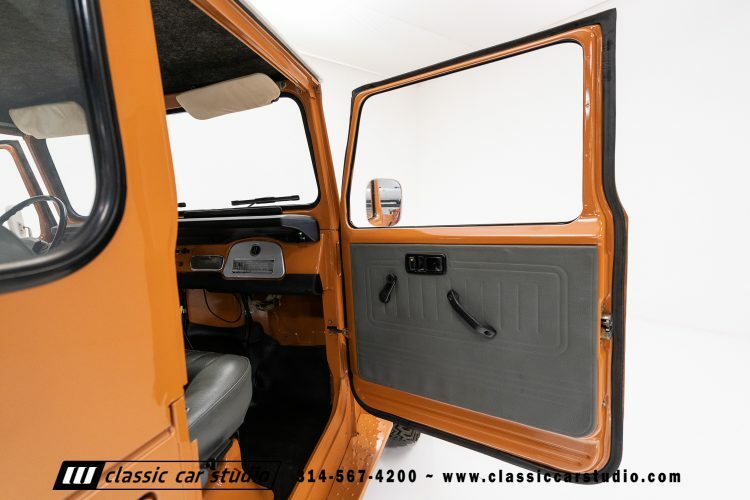 All rubber seals have been replaced and the glass in good condition. 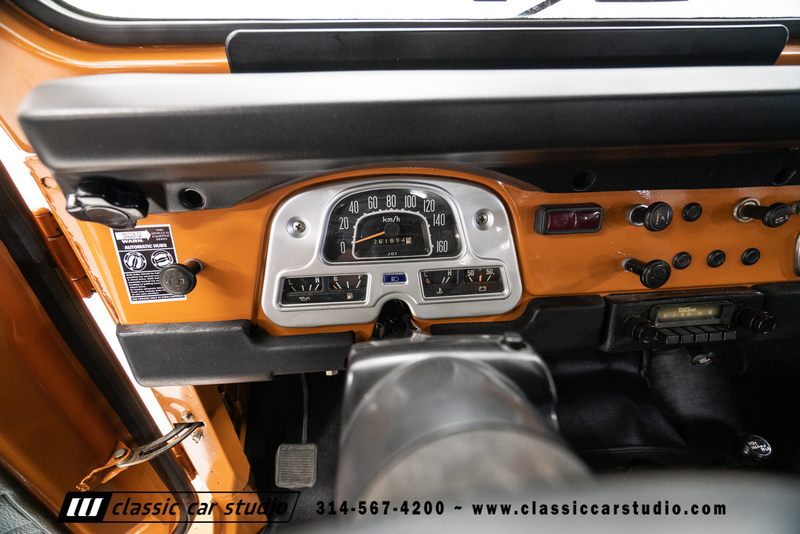 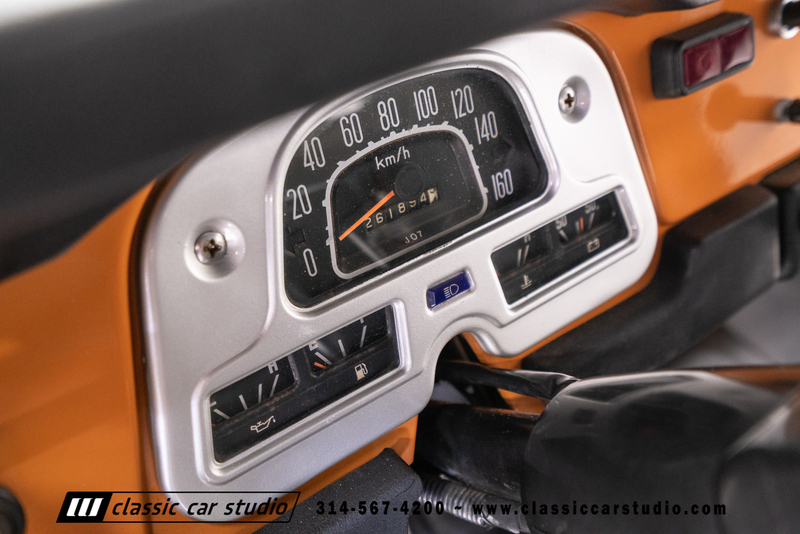 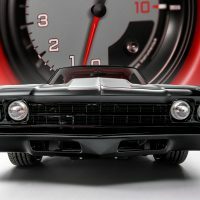 The interior soft parts have been replaced, and the gauges have been restored. 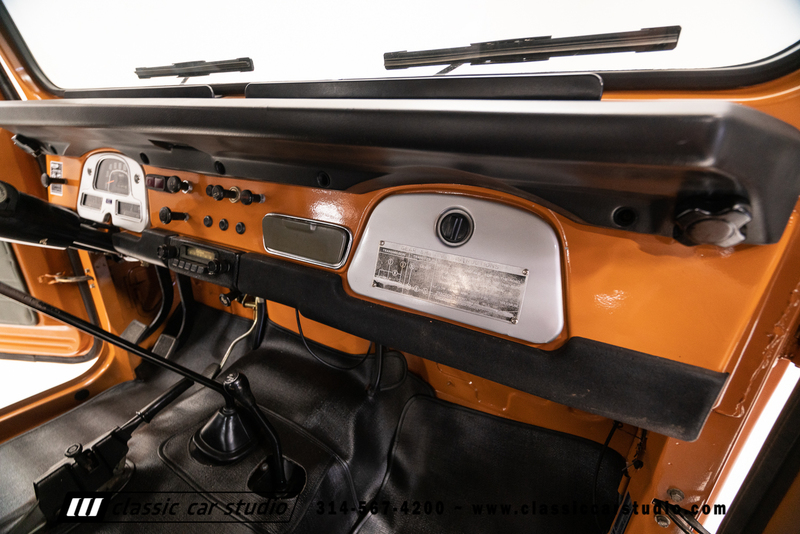 The wiring is in excellent condition and unmolested. 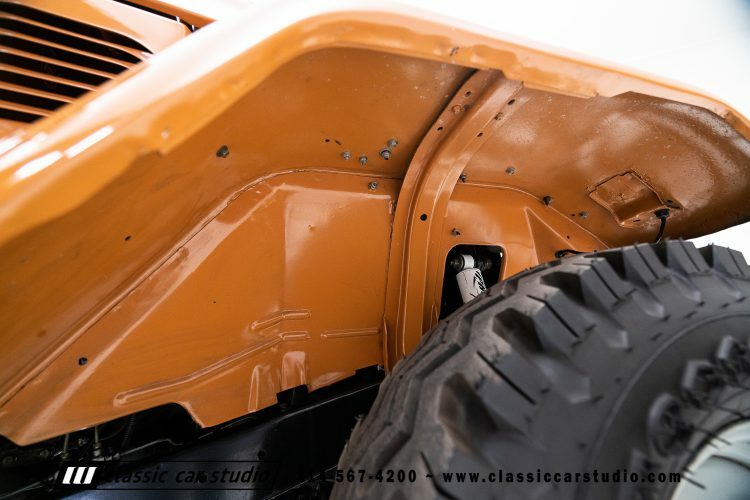 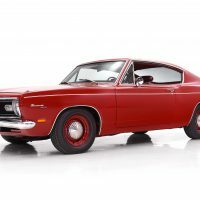 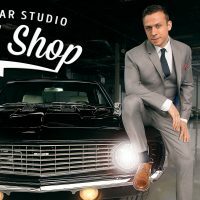 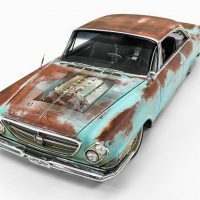 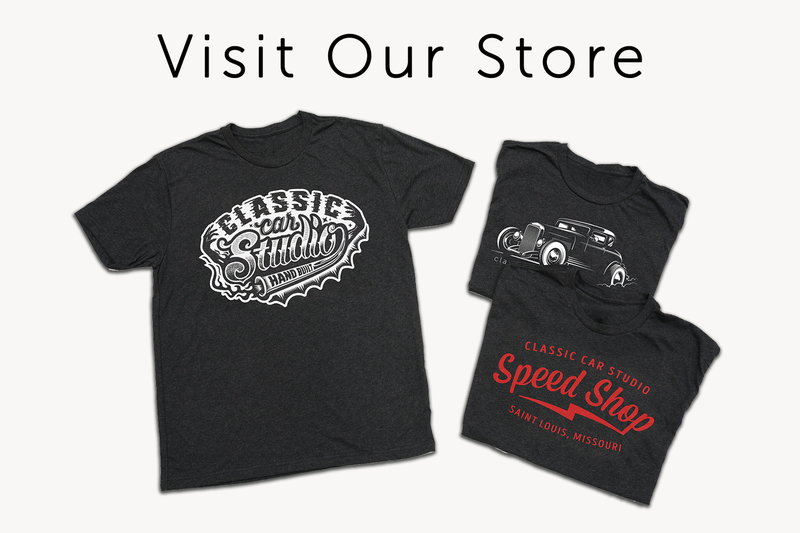 The body is all original and all metal. 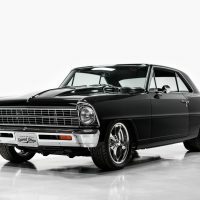 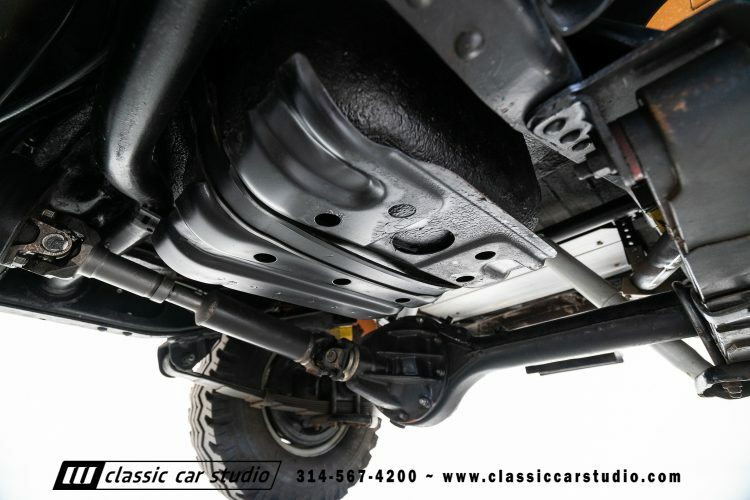 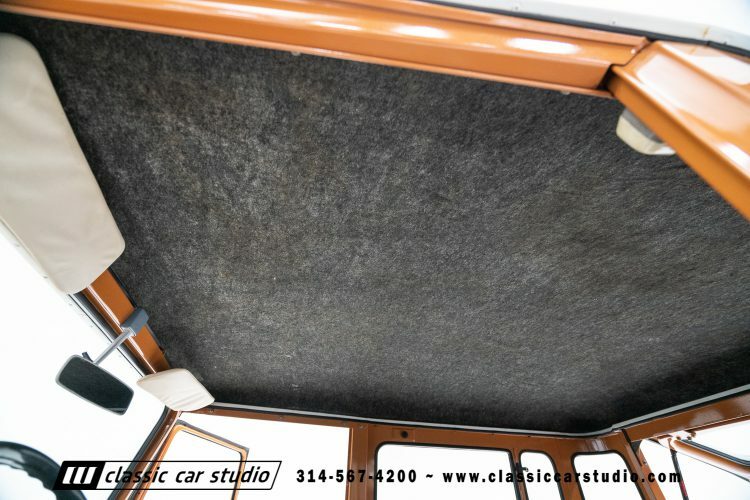 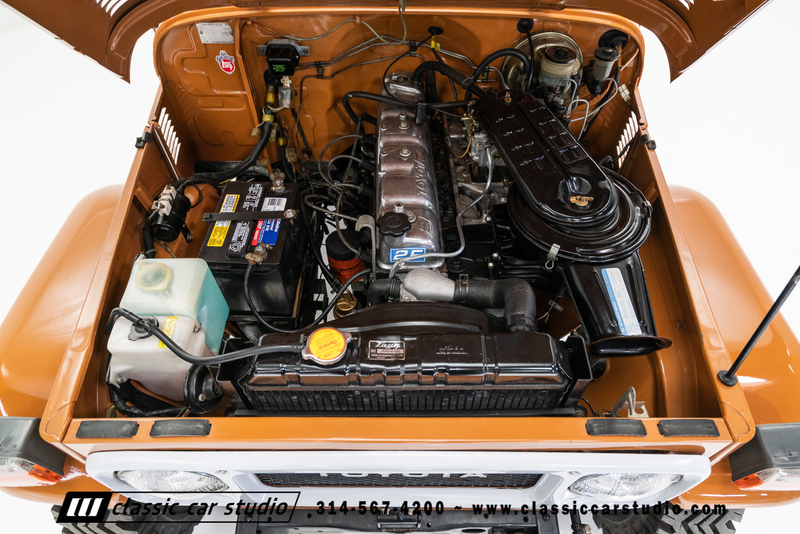 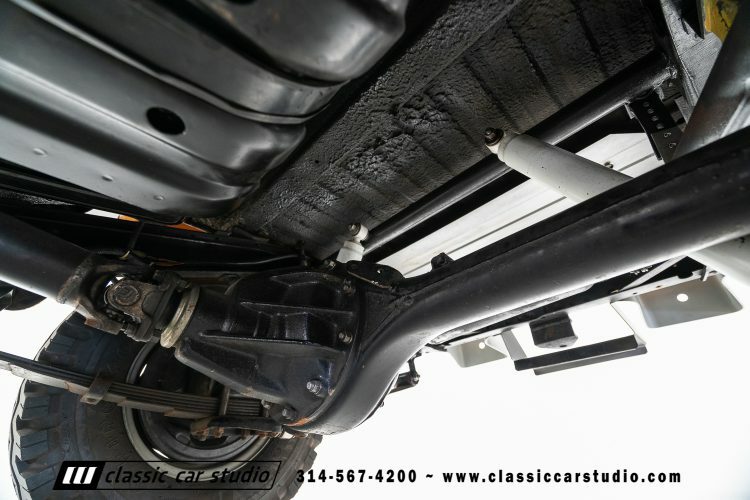 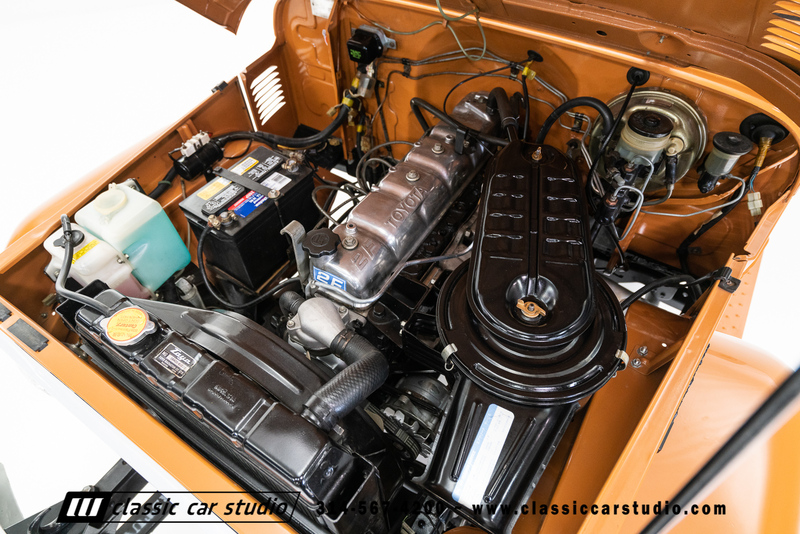 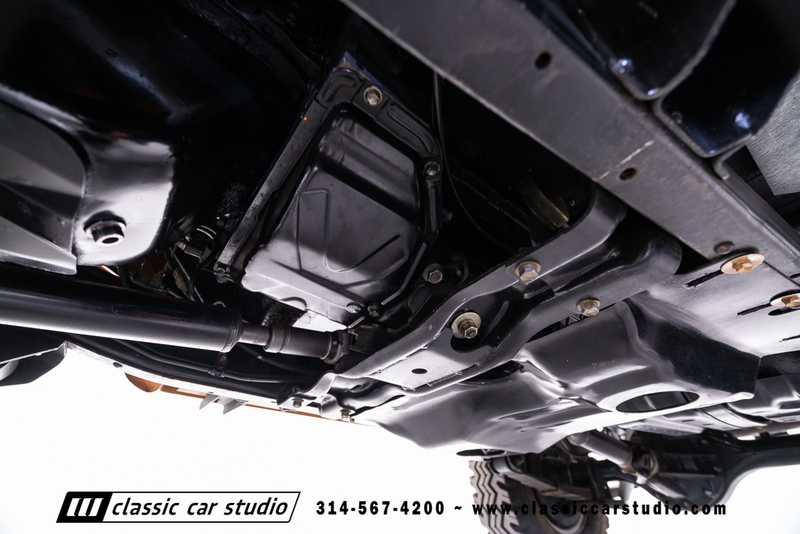 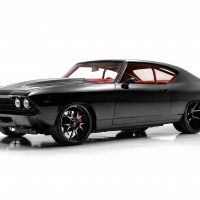 While the body was off the frame, it was media blasted and refinished in semi-gloss black. 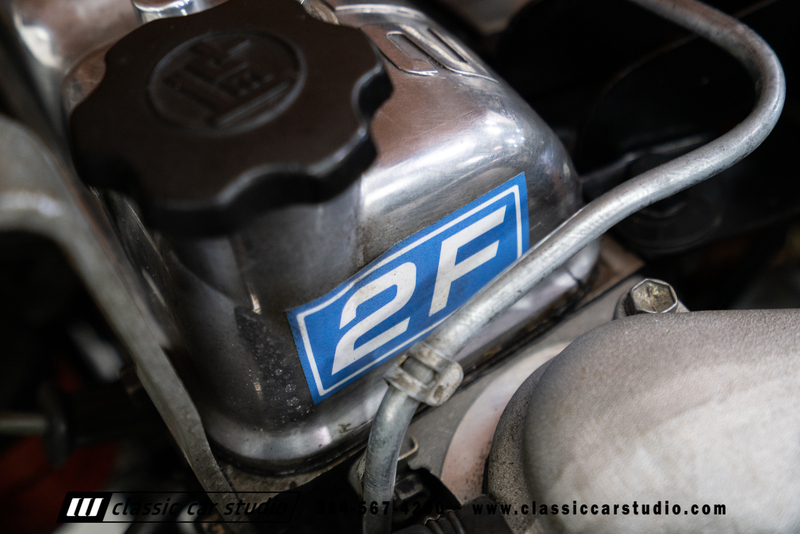 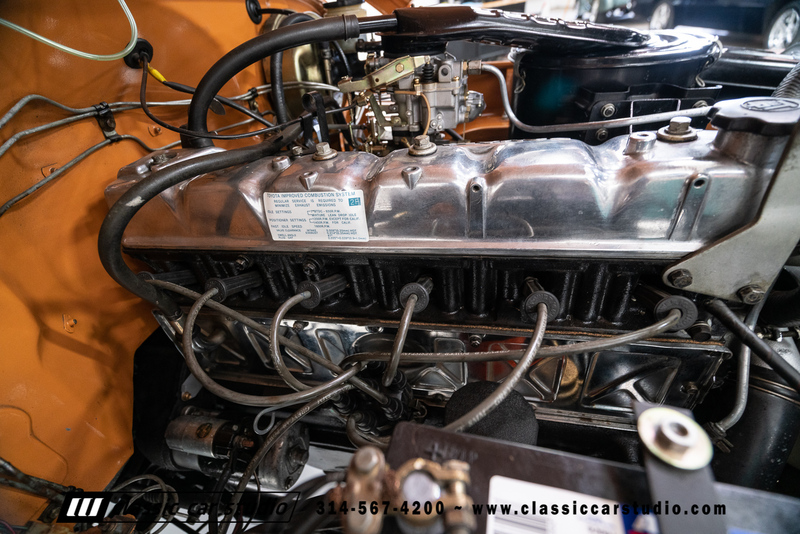 The 2F engine has been rebuilt and the 4-speed transmission was inspected and resealed. 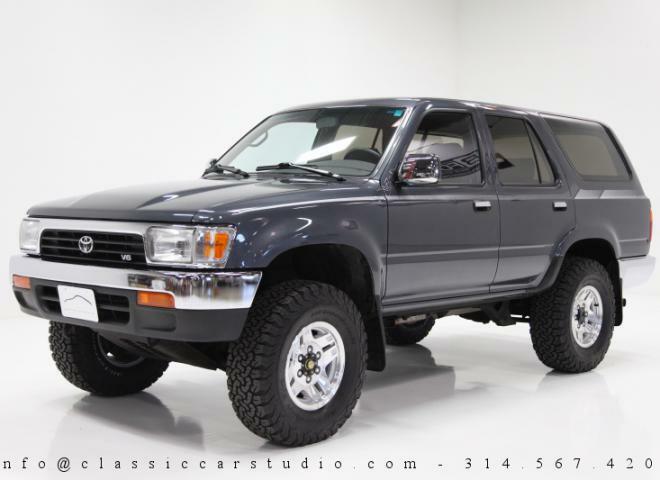 Both differentials have been gone through as has the transfer case. 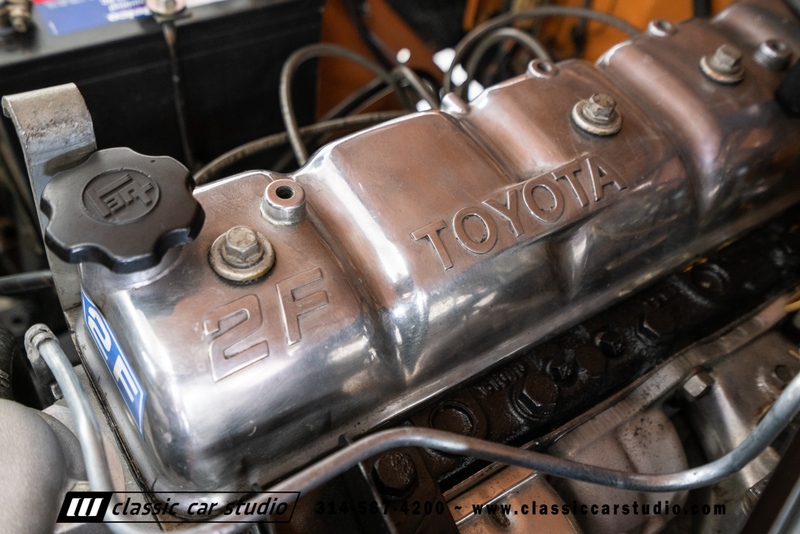 The air and fuel flow through the correct intake and a rebuilt Aisin carb. All ignition components are new or rebuilt and all of the rubber lines and hose have been rebuilt. 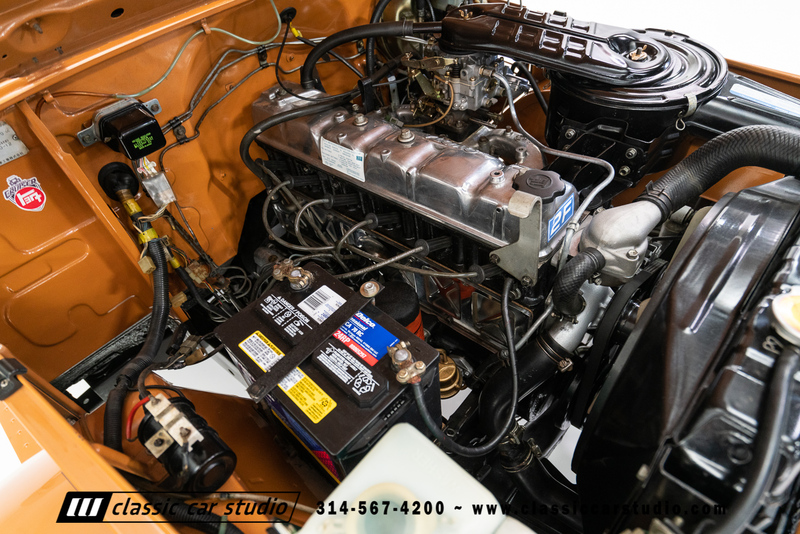 The fuel system was also gone through with all new lines, hoses and a relined tank. 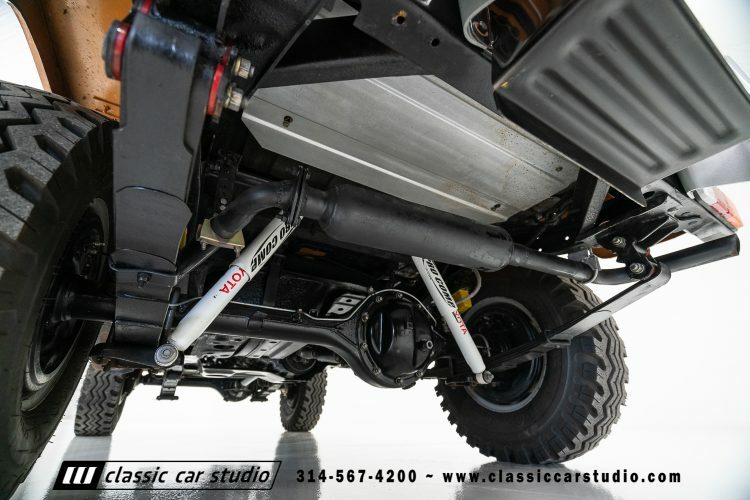 The truck has all new springs, new shocks, and a completely rebuilt steering components including the steering box. 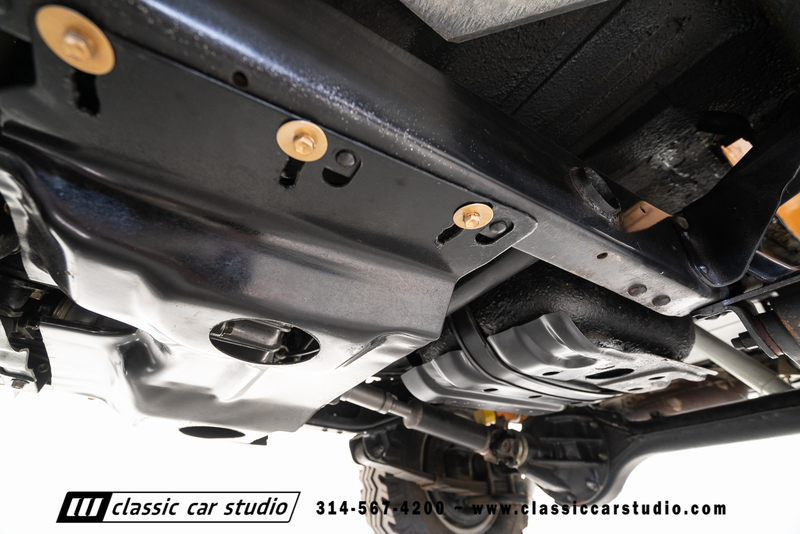 All of the bushings are new as well. 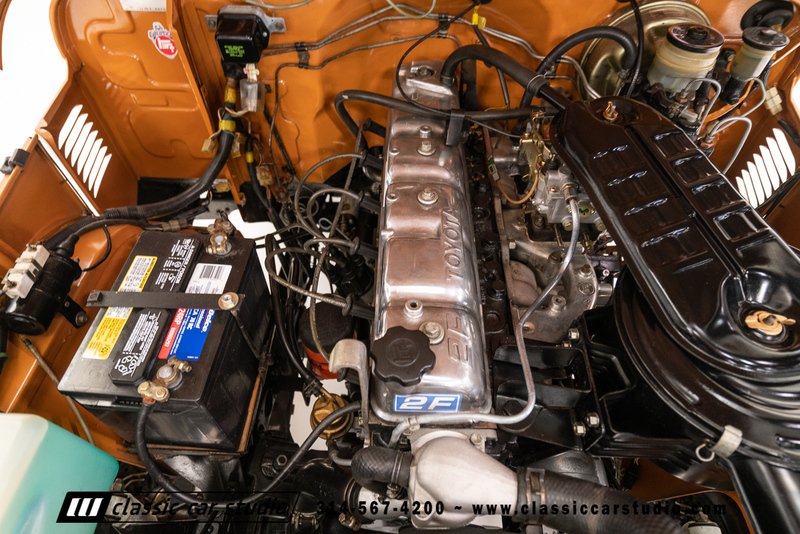 The master cylinder and Aisin booster have been rebuilt and the brake lines and hoses have been replaced. 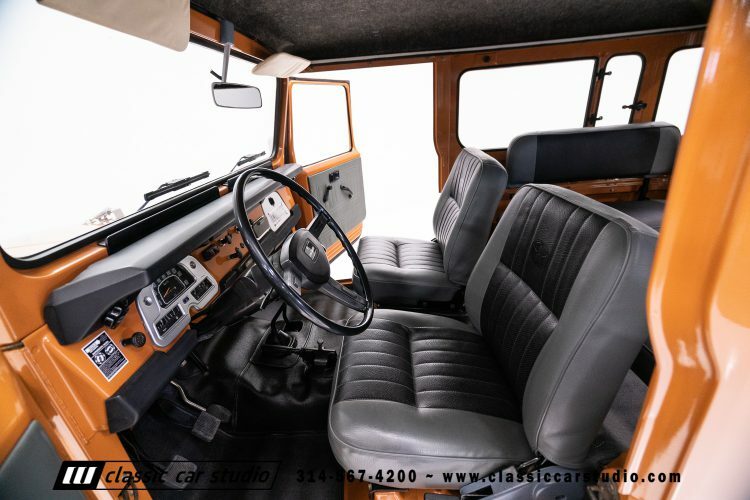 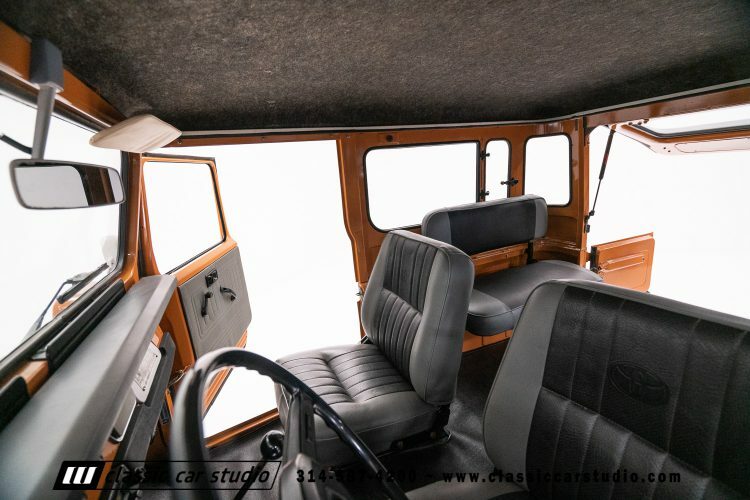 The interior wears the same excellent paint job as the exterior of the truck. The front bucket seats and rear jumpers have been restored and the truck has the rear liftgate/tailgate configuration. 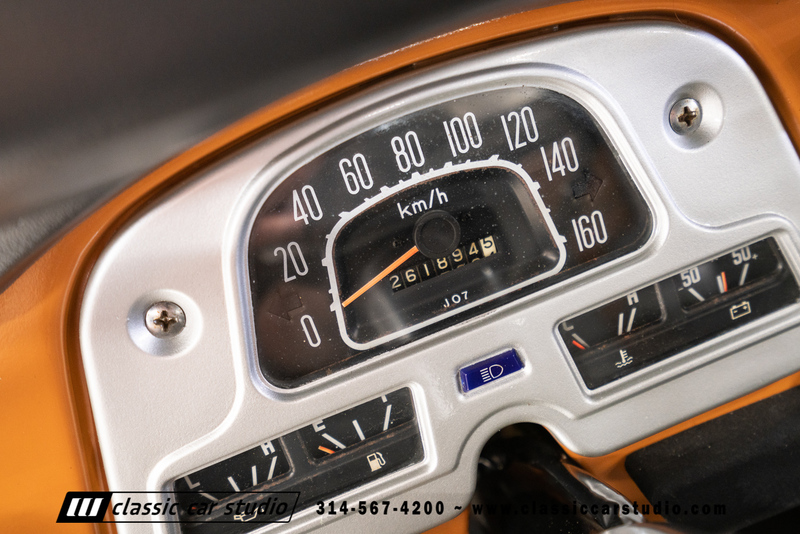 The restored original gauges are working properly as are all of the lights and signals. 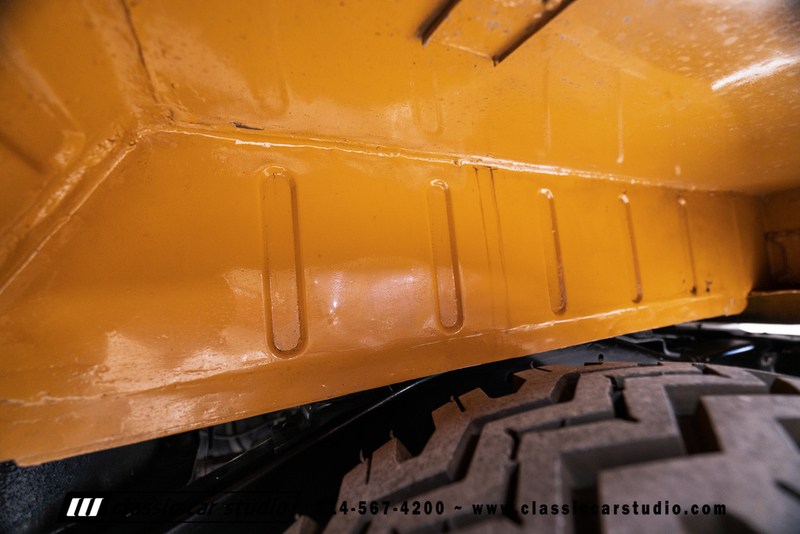 The truck comes fully serviced with fresh fluids and is ready to rock. 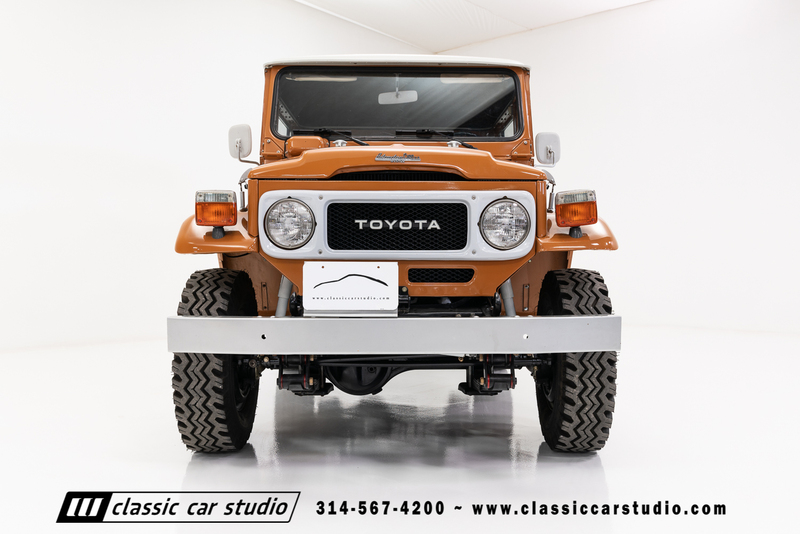 For the FJ fan looking for something that's practical as it is good looking, this sharp Toyota is calling your name.